haven’t we all heard this from our family and friends when we are anxious, agitated, irritated and just not in the right frame of mind? That is because breathing in a good amount of oxygen will always make you feel fresh and calm. and suddenly it all made sense to me. 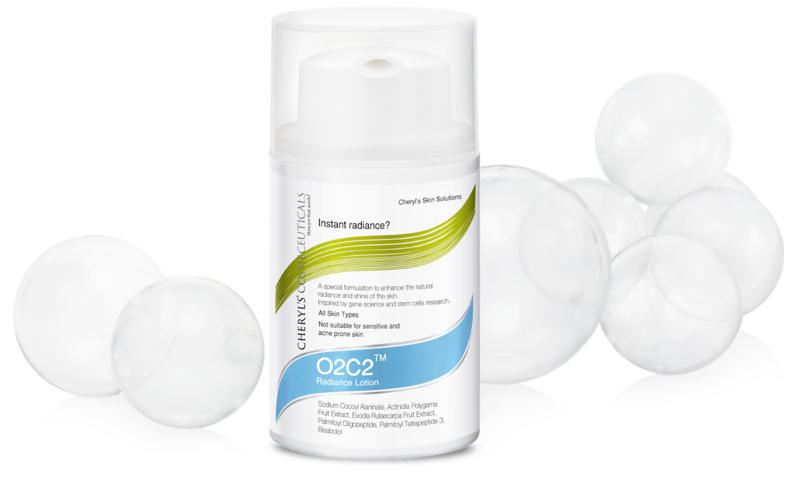 Oxygen for all organs and including our skin! 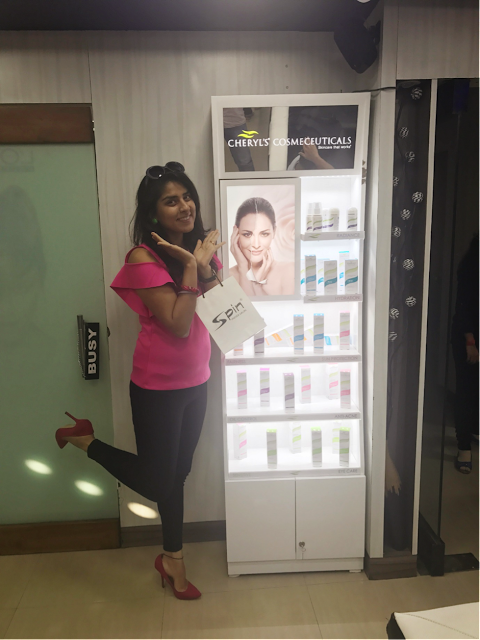 I visited the Spin salon in Bangalore which offered a range of Cheryl’s Cosmeceuticals skincare treatments. 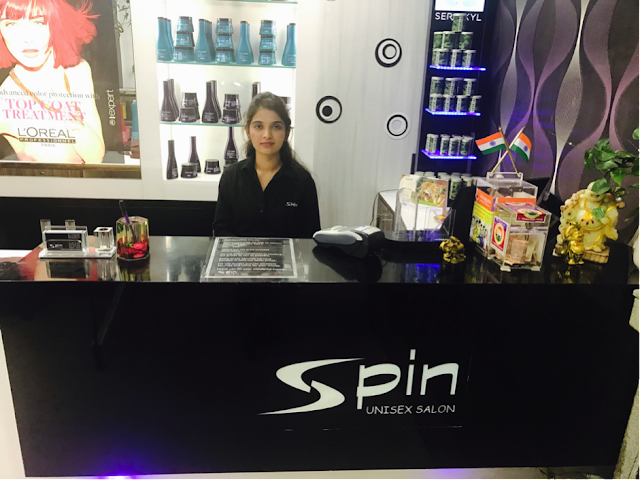 Their salons are located at various locations in Bangalore, I visited the one at Vidyaranyapura. 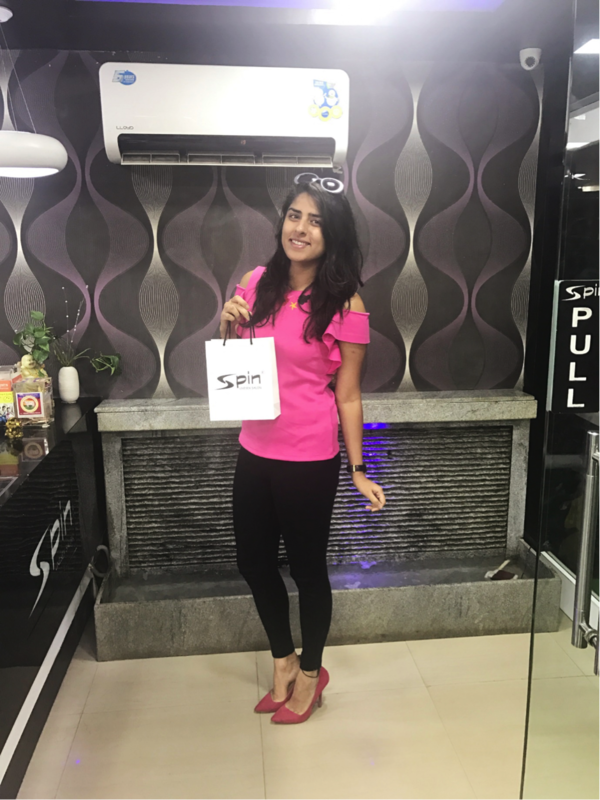 The beautician at Spin tried understanding my skin type, to give me a treatment that will suit me the best. She agreed that my skin looked dull and I probably needed some oxygen to get my lost glow back. 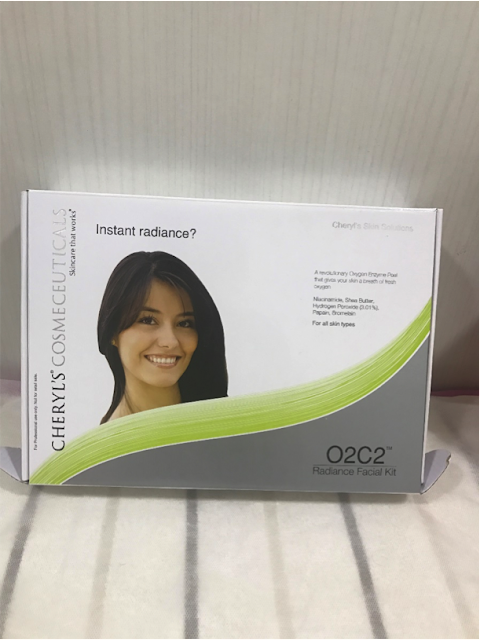 Since I do not go in for facials very often, she said, the O2C2 Radiance facial would give me a long-lasting effect while giving my skin that glow and radiance, I always desired. 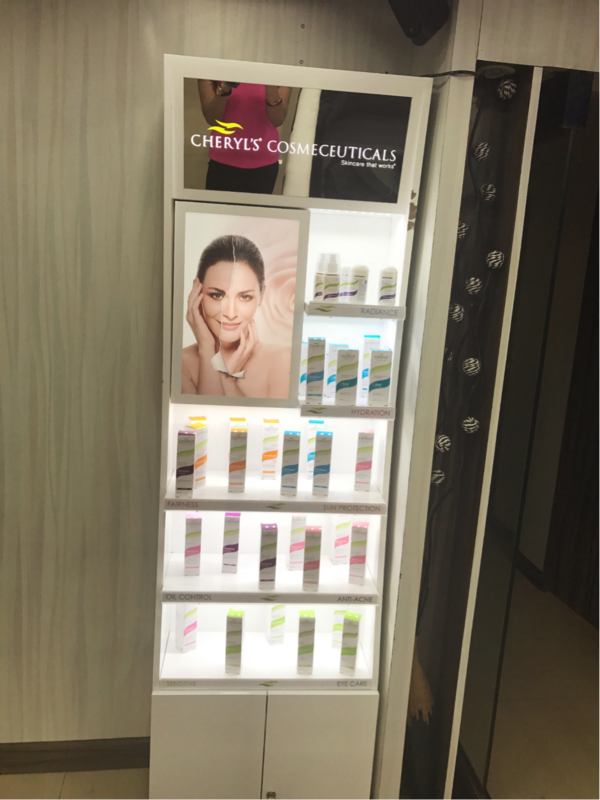 Cheryl's O2C2 facial uses oxygen and natural enzymes such as papain and bromelane to give you that radiant glow. The enzymes exfoliate and remove the dead skin whereas the oxygen detoxifies it. The treatment went on for about 50 minutes. 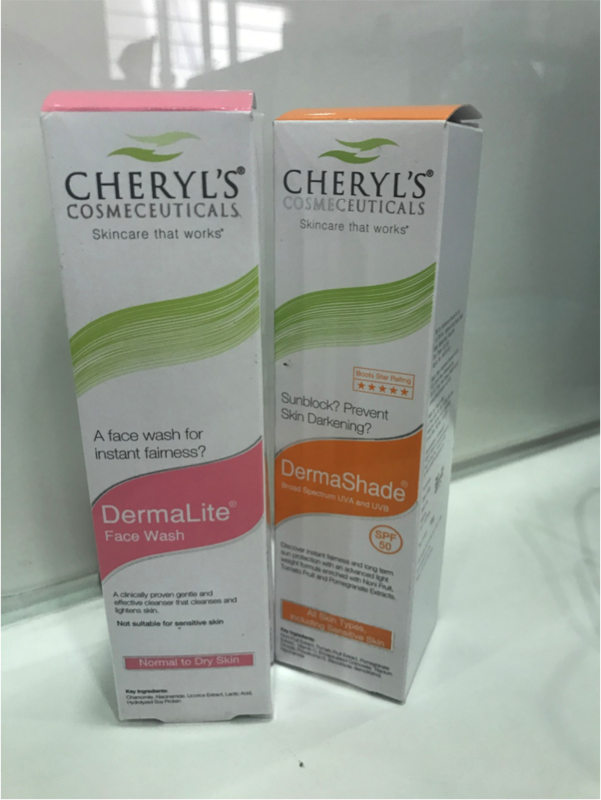 I felt a great difference after my experience with Cheryl’s O2C2 radiance facial. The uneven skin tone on my face has almost evened out and I also feel a glow after losing out the dead skin on my face. The staff at Spin salon are so professional with their work. They made my entire session a pampering one. 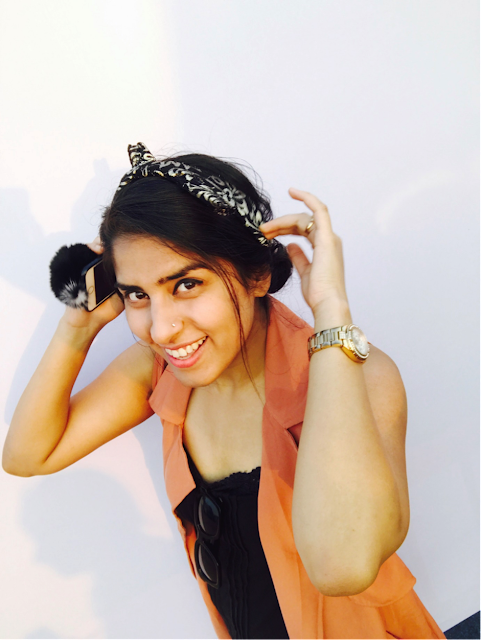 I usually find lot of salons have people coming in and out of the treatment room which hampers the customer’s privacy. My beautician was very well organised and left me with no room to complain! It has been a week since I got the facial done and I honestly haven’t experienced any facial that has given me such a long-lasting glow. Here is my picture after one week of the treatment. I also purchased their face wash and sunscreen that has helped me maintain this glow. 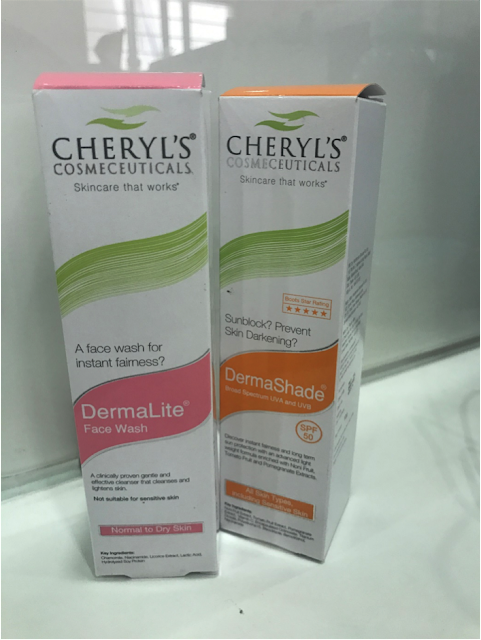 Their sunscreen DermaShade contains Tomato fruit extract and Vitamin C which automatically makes this a total star product. The package shows that the product has been rated five stars by Boots. The sunscreen protects me from the harsh summer sun and gives my face some Vitamin C.
Cheryl's Cosmeceuticals is a Mumbai-based and India’s first skincare brand having more than 200 skincare products available all over India. The products are all formulated with scientifically-proven herbal actives and bio-technological ingredients in the purest form giving us fantabulous results. I am sure to try their other skin and foot care services.